Back in October Pioneer announced that its cool new internal BDXL drive for computers. The BDXL drive is able to write to new forms of Blu-ray media that have a higher storage capacity that standard Blu-ray discs. The BDXL writer can write to 128GB BD-R QL and 100GB BD-R TL media. 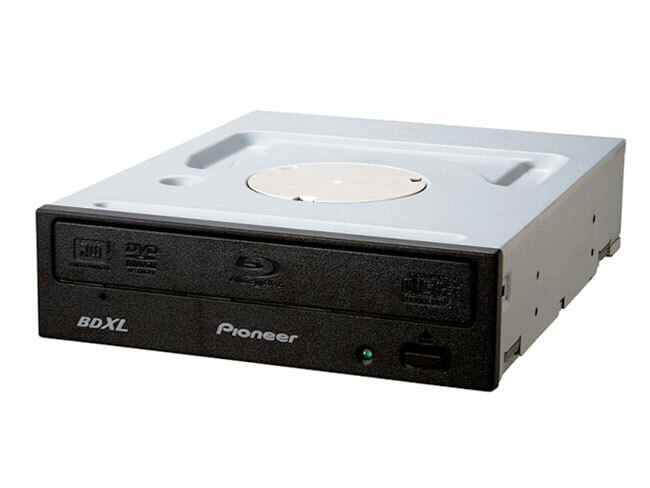 In addition to writing to the super high-capacity BDXL discs, the Pioneer BDR-206MBK can also write to normal Blu-ray media and to normal CD and DVDs as well. The drive is also capable of playing Blu-ray movies and more. The drive is a 5.25″ internal optical drive and uses Limit Equalizer tech to reduce noise on playback and Disc Vibration Stabilizer to prevent the disc from warping. The Pioneer drive can be purchased right now for $199.